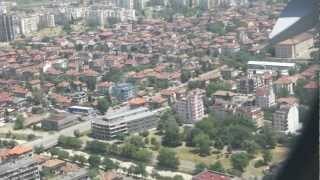 N 42° 41' 51" and E 23° 19' 26"
Sofia in Stolichna Obshtina (Sofia-Grad) with it's 1,152,556 inhabitants is a city in Bulgaria. It's the capital of this country. Local time in Sofia is now 12:18 AM (Tuesday). The local timezone is named Europe / Sofia with an UTC offset of 3 hours. We know of 8 airports in the vicinity of Sofia, of which 3 are larger airports. The closest airport in Bulgaria is Sofia Airport in a distance of 4 mi (or 7 km), East. Besides the airports, there are other travel options available (check left side). There are several Unesco world heritage sites nearby. The closest heritage site in Bulgaria is Boyana Church in a distance of 4 mi (or 7 km), South-West. If you need a place to sleep, we compiled a list of available hotels close to the map centre further down the page. Depending on your travel schedule, you might want to pay a visit to some of the following locations: Elin Pelin, Pernik, Slivnitsa, Bov and Lakatnik. To further explore this place, just scroll down and browse the available info. Let's start with some photos from the area. Левски вековенъ! 23-24.05.2014 / 100 years Levski Sofia! Левски София на сто години! Levski Sofia - SS Lazio - 23.05.2014 anniversary game! http://fond100.com http://fondsectorb.com. 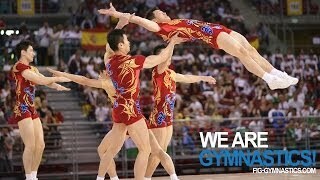 2012 Aerobic Worlds SOFIA - Group Final - We are Gymnastics! Сто години славен Левски София! 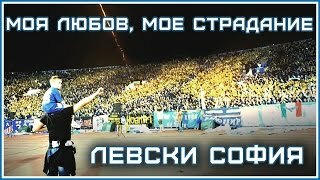 100 years Levski Sofia! Train no. 383 "BULGARIA EXPRESS' Moscow - Kiev - Bucharest - Sofia. Flight LH1426 Frankfurt to Sofia - Lufthansa Airbus A321-100/-200 landing at Sofia airport. 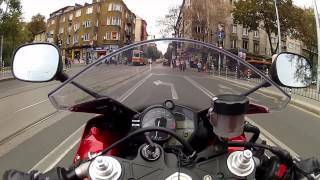 Driver’s Eye View at 4 x Speed – Sofia to Mezdra via the Iskar Gorge. Riding to one of the dance studios at Sofia, Bulgaria. The Bulgarian National Bank is the central bank of the Republic of Bulgaria with its headquarters in Sofia. The BNB was established on 25 January 1879. It is an independent institution responsible for issuing all banknotes and coins in the country, overseeing and regulating the banking sector and keeping the government's currency reserves. The BNB is also the sole owner of the Bulgarian Mint. The governor is Ivan Iskrov. Located at 42.6964, 23.3253 (Lat. / Lng. ), about 0 miles away. The Ivan Vazov National Theatre (Bulgarian: Народен театър „Иван Вазов“, Naroden teatar „Ivan Vazov“) is Bulgaria's national theatre, as well as the oldest and most authoritative theatre in the country and one of the important landmarks of Sofia, the capital of Bulgaria. It is located in the centre of the city, with the facade facing the City Garden. Located at 42.6942, 23.3264 (Lat. / Lng. ), about 0 miles away. The Church of St George (Bulgarian: Ротонда „Свети Георги“ Rotonda "Sveti Georgi") is an Early Christian red brick rotunda that is considered the oldest building in Sofia, the capital of Bulgaria. It is situated behind the Sheraton Hotel, amid remains of the ancient town of Serdica. Built by the Romans in the 4th century, it is believed that it was built on the site of a pagan temple. Mainly famous for the 12th-14th century frescoes inside the central dome. Located at 42.6969, 23.3229 (Lat. / Lng. ), about 0 miles away. Located at 42.6994, 23.3225 (Lat. / Lng. ), about 0 miles away. The Sofia Synagogue (Bulgarian: Софийска синагога, Sofiyska sinagoga) is the largest synagogue in Southeastern Europe, one of two functioning in Bulgaria (with the one in Plovdiv) and the third-largest in Europe. Located at 42.7, 23.3211 (Lat. / Lng. ), about 0 miles away. Prince Alexander I Square (Bulgarian: площад „Княз Александър I“, Ploshtad "Knyaz Aleksandar I"), often called simply Battenberg Square (площад „Батенберг“) is the largest square of Sofia, the capital of Bulgaria. Located at 42.6961, 23.3264 (Lat. / Lng. ), about 0 miles away. The Russian Church (Bulgarian: Руска църква, Ruska tsarkva), officially known as the Church of St Nicholas the Miracle-Maker (църква "Св. Николай Чудотворец", tsarkva "Sv. Nikolay Chudotvorets"), is a Russian Orthodox church in central Sofia, Bulgaria, situated on Tsar Osvoboditel Boulevard. Located at 42.6957, 23.3291 (Lat. / Lng. ), about 0 miles away. TZUM-Sofia (Bulgarian: ЦУМ, abbreviated from Централен универсален магазин, Tsentralen universalen magazin, Central Department Store) is an upmarket department store in the centre of Sofia, the capital of Bulgaria, officially opened in 1957 and situated in a monumental edifice (part of The Largo complex) on one of the city's main boulevards. The store's construction began in 1955 and ended in the end of 1956, when the first customers entered TZUM. Located at 42.6983, 23.3228 (Lat. / Lng. ), about 0 miles away. The Church of St Petka of the Saddlers (Bulgarian: Църква „Света Петка Самарджийска“) is a medieval Bulgarian Orthodox church in Sofia, the capital of Bulgaria. It is a small one-naved building partially dug into the ground located in the very centre of both the modern and the antique city, in the TZUM subway. The church features a semi-cylindrical vault, a hemispherical apse, and a crypt discovered during excavations after the Second World War. Located at 42.6978, 23.3221 (Lat. / Lng. ), about 0 miles away. The Georgi Dimitrov Mausoleum (Bulgarian: мавзолей на Георги Димитров) in Sofia, Bulgaria was built in 1949 to hold the embalmed body of the Communist leader Georgi Dimitrov (1882–1949). The construction of the Mausoleum was begun right after the news of Dimitrov's death. It was built for a record time of just 6 days, the time it took for Dimitrov's body to return to Sofia from the USSR. Located at 42.6958, 23.3261 (Lat. / Lng. ), about 0 miles away. The National Art Gallery (Bulgarian: Национална художествена галерия, Natsionalna hudozhestvena galeriya) is Bulgaria's national gallery and houses over 50,000 pieces of Bulgarian art. It is located on Battenberg Square in the capital city of Sofia, occupying most of the historic and imposing edifice of the former royal palace of Bulgaria, having been established in 1934 and moved to the palace in 1946, after the abolition of the monarchy. Located at 42.6965, 23.3268 (Lat. / Lng. ), about 0 miles away. The Cathedral of St Joseph (Bulgarian: катедрала „Св. 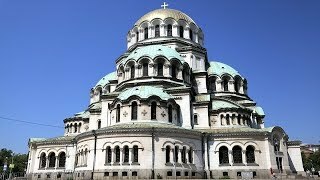 Йосиф“) is a Roman Catholic cathedral in Sofia, the capital of Bulgaria. It is the co-cathedral of the Diocese of Sofia and Plovdiv, together with the Cathedral of St Louis in Plovdiv. Located at 42.6986, 23.3197 (Lat. / Lng. ), about 0 miles away. The National Museum of Natural History (Bulgarian: Национален природонаучен музей, Natsionalen prirodonauchen muzey; abbreviated НПМ, NMNHS) of Bulgaria is a museum of natural history located in Sofia, the capital of the country on "Tzar Osvoboditel" str. next to the Russian church. Founded in 1889, it is affiliated with the Bulgarian Academy of Sciences, and is the first and largest museum of this kind in the Balkans. Located at 42.6957, 23.3285 (Lat. / Lng. ), about 0 miles away. The National Archaeological Museum (Bulgarian: Национален археологически музей, Natsionalen arheologicheski muzey) is an archaeological museum in the centre of Sofia, the capital of Bulgaria. It occupies the building of the largest and oldest former Ottoman mosque in the city, Büyük camii ("Grand Mosque"), built around 1474 under Mehmed II. Located at 42.6963, 23.3246 (Lat. / Lng. ), about 0 miles away. The Sofia Public Mineral Baths (Bulgarian: Софийска градска минерална баня, Sofiyska gradska mineralna banya) or the Central Mineral Baths (Централна минерална баня, Tsentralna mineralna banya) is a landmark in the centre of Sofia, the capital of Bulgaria, a city known for the mineral springs in the area. It was built in the early 20th century near the former Turkish bath (then destroyed) and was used as the city's public baths until 1986. Located at 42.6992, 23.3239 (Lat. / Lng. ), about 0 miles away. The Largo (Bulgarian: Ларго, definite form Ларгото, Largoto) is an architectural ensemble of three Socialist Classicism edifices in central Sofia, the capital of Bulgaria, designed and built in the 1950s with the intention to become the city's new representative centre. Today it is regarded as one of the prime examples of Socialist Classicism architecture in Southeastern Europe, as well as one of the main landmarks of Sofia. Located at 42.6976, 23.3233 (Lat. / Lng. ), about 0 miles away. The City Garden (Bulgarian: Градска градина, Gradska gradina) is Sofia, the capital of Bulgaria's oldest and most central public garden, in existence since 1872. It is located between Tsar Osvoboditel Boulevard to the north, Knyaz Alexander Battenberg Street to the west and Joseph Vladimirovich Gourko Street to the south, in the historical centre of the city. Located at 42.695, 23.3253 (Lat. / Lng. ), about 0 miles away. The Amphitheatre of Serdica (Latin:; Bulgarian: Амфитеатър на Сердика, Amfiteatar na Serdika) was an amphitheatre in the Ancient Roman city of Ulpia Serdica, now Sofia, the capital of Bulgaria. Discovered in 2004 and the subject of excavations in 2005 and 2006, the ruins of the amphitheatre lie on two adjacent sites in the centre of modern Sofia. The amphitheatre was built in the 3rd–4th century AD on top of a 2nd–3rd century theatre which had been ravaged by the Goths. Located at 42.6972, 23.3283 (Lat. / Lng. ), about 0 miles away. The Sofia Court House (Bulgarian: Съдебна палата, Sadebna palata) is a building in Sofia, the capital of Bulgaria, accommodating all the courts in the city. Stylistically a simplistic yet monumental structure, it is located on 2 Vitosha Boulevard, surrounded by Alabin Street, Laveleye Street and Positano Street. The need for a common building to house all the courts in Sofia was raised in 1926 with the foundation of the Judicial Buildings fund. Construction began in 1929 and finished in 1940. Located at 42.6956, 23.32 (Lat. / Lng. ), about 0 miles away. Knyaz Aleksandar Dondukov Boulevard (Bulgarian: Булевард Княз Александър Дондуков), shortly referred to as Dondukov, is an important central boulevard in Sofia. It is named after the Russian general and statesman Alexander Dondukov-Korsakov. It lies between the TZUM and the Chavdar bridge. It crosses several other major streets such as the Vasil Levski Boulevard and Georgi Rakovski Street. Located at 42.6982, 23.3293 (Lat. / Lng. ), about 0 miles away. Georgi Rakovski Street (Bulgarian: Улица Георги Раковски, Ulitsa Georgi Rakovski), usually called with its old name Rakovska, is an important street in the capital of Bulgaria, Sofia, located in the central area of the city. It is named after the famous Bulgarian revolutionary Georgi Sava Rakovski. It lies between the Slivnitsa Boulevard to the north and Evlogi Georgiev Boulevard to the south. Located at 42.6934, 23.3278 (Lat. / Lng. ), about 0 miles away. Serdika Metro Station is a station on the Sofia Metro in Bulgaria. It was put into operation on October 31, 2000. With the opening of Serdika II on August 31, 2012 the station became transfer station between the Red and Blue lines. 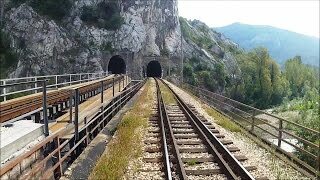 The station is named after the ancient city of Serdica, as it lies in the very centre of the hitherto unearthed ruins of that city. Located at 42.6978, 23.3214 (Lat. / Lng. ), about 0 miles away. The Church of St. Nicholas (Bulgarian: Свети Николай Мирликийски чудотворец) is an Orthodox Church in the Bulgarian capital of Sofia. The church was built in the 13th century by Kaloyan the sebastocrator as a small family church on today's Kaloyan Street behind the Rila Hotel. It is assumed that the church was erected on the site of the surviving parts of the palace complex that had once stood there which was built during the Roman Empire and accommodated Constantine the Great. Located at 42.6958, 23.3228 (Lat. / Lng. ), about 0 miles away. Serdika II Metro Station (Bulgarian: Метростанция „Сердика II“) is a station on the Sofia Metro in Bulgaria. It was put into operation on August 31, 2012 and the station became transfer station between the Red and Blue lines together with Serdika. Bulgaria's PM Boyko Borisov and the President of the European Commission Jose Manuel Barroso inaugurated the new section of the Sofia Metro, which was funded with EU money. Located at 42.6987, 23.322 (Lat. / Lng. ), about 0 miles away. Maria Luiza Boulevard (Bulgarian: Булевард Мария Луиза), also called Maria Luiza, which is the Bulgarian transliteration of Marie Louise, is a central boulevard in Sofia. It connects Central Railway Station and Vitosha Boulevard which is its continuation to the National Palace of Culture. The boulevard passes over one of the city's most emblematic bridges, Lavov Most (meaning Lion's Bridge). It is named after Marie Louise of Bourbon-Parma, princess-consort of Bulgaria and wife to Ferdinand I. Located at 42.7016, 23.3228 (Lat. / Lng. ), about 0 miles away. These districts belong to Sofia. These are districts that are close by, but belong to a different city than Sofia. 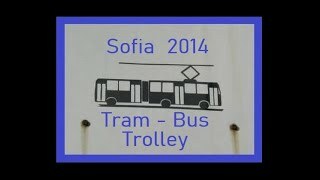 These are some bigger and more relevant cities in the wider vivinity of Sofia. These are the most popular locations in Bulgaria on Tripmondo.